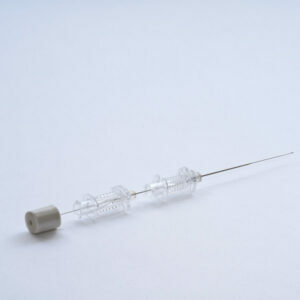 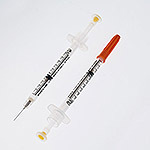 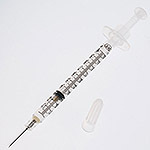 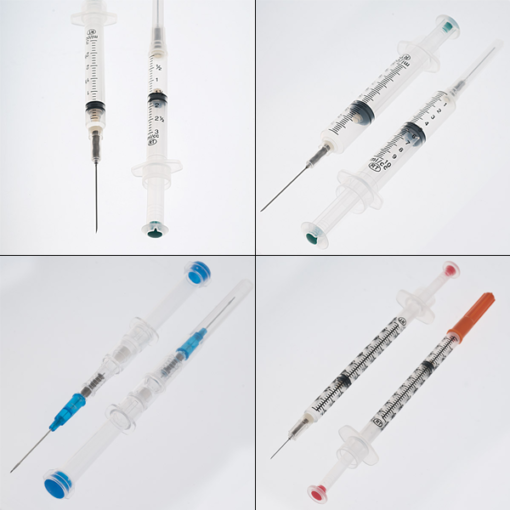 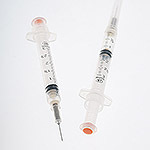 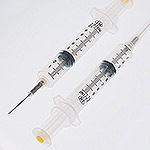 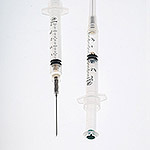 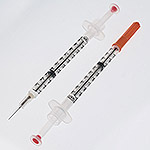 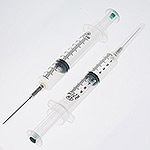 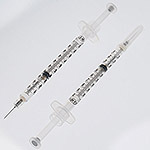 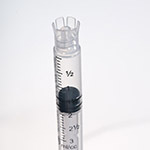 VanishPoint® syringes are available in a variety of sizes, needle gauges, and needle lengths. 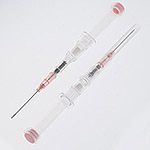 The needle is automatically retracted directly from the patient into the barrel of the syringe when the plunger handle is fully depressed. 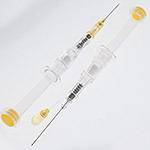 The pre-removal, automated retraction virtually eliminates exposure to the contaminated needle, effectively reducing the risk of needlestick injury. 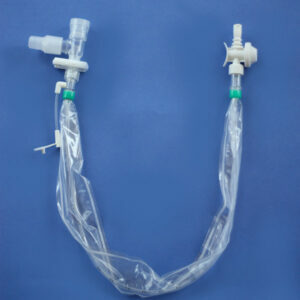 VanishPoint® syringes are easy to use, require no additional steps, and allow for single-handed activation. 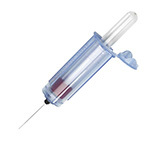 After activation, they require less disposal space than most other safety needles/syringes and prevent disposal-related needlestick injuries. 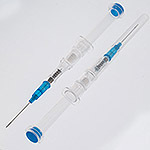 Click the link to go to the individual product page.